Hot on the heels of yesterday's leaked press renders of the LG G3, we are now seeing the phone out and about for the first time, straight from the confines of the Korean subway system. Translation - someone is perusing the golden version of the G3 in a metro car, with what seems like a new Quick Cover that has a large circular cutout, matching the new Optimus UI lock screen that we already saw, and was confirmed by the official shots of LG's new tablet trio, too. The new lock screen sports precisely such a gigantic circle where the time, date, and other pertinent information, will be displayed when the Quick Cover you see in the picture is closed for added protection. One thing is for sure from these pics - the G3 is a largish handset, so the 5.5" Quad HD display speculation seems primed to pan out. It certainly doesn't look like a phone you can use with one hand, unless you choose LG's Mini View software trickery that shrinks the interface to a section of the display, but that's the price to pay if you want a large screen on your handset, as we've come to realize in the last year or two. When I'm watching LG G3 video teaser it looks like LG G3 is metal. 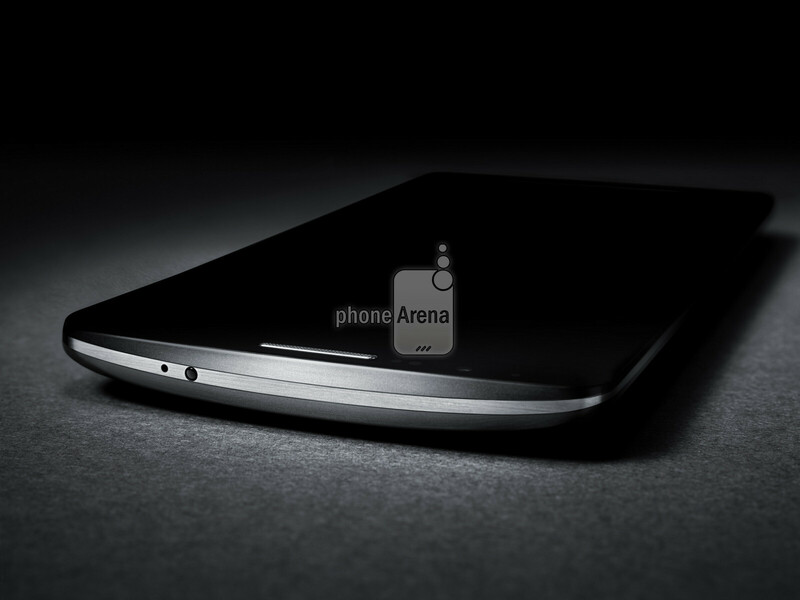 :) But when I look at LG G3 images which were posted by PhoneArena yesterday, I start to think that LG G3 will be plastic with metal frame. Why? Because if back cover is metal then why I don't see any plastic 'gaps' for antenna? Metal frame:http://i-cdn.phonearena.com/images/articles/120690-image/LG-G3-press-renders-appear.jpg No plastic 'gaps' for antenna:http://i-cdn.phonearena.com/images/articles/120687-image/LG-G3-press-renders-appear.jpg I start to think that it will be plastic (only speculations). :( What you think guys? Anyway, even if it is plastic it still looks better than Samsung's plastic design at least in the teaser video and in images which were posted by PhoneArena yesterday (my opinion). It looks like the self healing thing on G Flex. LG isai looked better than this IMO. Is that some metal trim around it? Man this thing is looking good. It looks like it is and would match up with the teaser pic they posted early in the week. So sad.. Seems unconvinient for one handed usage. Still, I hope 8.5 sized hands won't have any trouble! I got small hands also and I had no problem wielding G Flex, problem with that was it didnt fit my pants pockets, else I loved it. Plus I'm sure G3 will come with the 1 hand thingies that G Pro 2 has. Hmm that's a good sign... I haven't try holding a G Flex, nor the G 2 Pro, but it seems that the lady(?) here in this photo will struggle to operate it one handed. What glove size do you wear? I hope 'One hand thingies' works well, in case everything else fails. This is just a big gimmick by LG just to tease the world about the G3. Well, they're leaking their phone but at least it's not the htc type of advertising via leaks. Just get the black one and add a coloured case (if you don't like black). Personally thinking, black smartphones looks more elegant. i think that black border u see in the photo is just the actual bezel. if u look at the press renders u would see tt the bezels of the screen for all 3 colours are black. 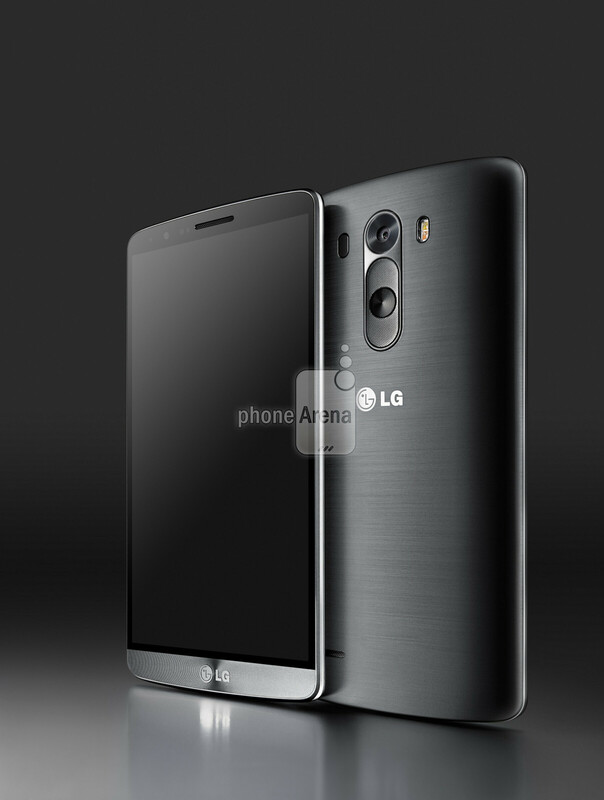 i would think LG have gotten rid of the inner bezel cos the G Pro 2 didnt have them already. looking at the photo closely, it SEEMS like its a snap on case like the on G2 and not a back cover replacement like on the G Pro 2.
Who even took that pic...? Bet it was staged. I also think that it was staged. The picture kind of puts the hugeness of this phone into perspective. Too big? Maybe. S5, Z2 and M8 are still selling no? This will be just the same size due to small bezels. I think its very good work from LG making a device that has 0.3-0.5" larger screen and keeping it within 1-2mm of the others. In some cases it will even be smaller. But instead people just look at the screen size.... Wonder if the same people would rejoice over a 140 x 70 phone with a 4" screen using the best internals? I agree. This probably would have been my phone if they did a 5.2 QHD screen and made it smaller than the G2. Since it is 5.5, I won't be getting it. Good thing Google might shrink it again like they shrunk the G2 screen for the Nexus 5. Google is our last chance in 2014 because if the Z2 compact is based on the A2, Sony made it too fat again. So it is all up to Google to buck this very disappointing trend. I need to feel the phone in hand & pocket before I make my decision. I tend to agree with you though; I like 5-5.2 inch phones. It's going to be hard holding off until the Nexus 6 gets here though. Damn Google for waiting til Oct/Nov every year!